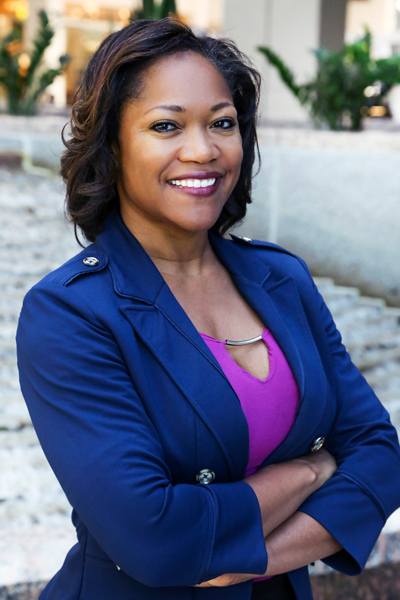 Although Daphne Walker serves as chief legal officer at United Surgical Partners International (USPI), she was once that person comforting patients at their bedsides. But her roles of lawyer and nurse aren’t as different as one would think. Throughout our conversation, she makes it clear that her nursing experience has informed her work in the legal field. And it all began with her mother—also a former nurse. After graduating from West Texas A&M University, Walker began her nursing career at nearby Hereford Regional Medical Center in Hereford, Texas. While there, she was encouraged by her colleagues to be versatile and have multiple field experiences. Not only did she assist patients about the medical/surgical, intensive care, emergency, and OB departments, but she also found opportunities to impact the hospital’s strategic plan and coordinate nursing responsibilities on multiple units. This eventually led to a promotion to interim chief nurse. During this time, Walker noticed the many legal questions that can arise for healthcare professionals and facilities on a daily basis. This observation reignited her passion in law. That inspiration pushed Walker to apply to study law at Southern Methodist University, where she was recognized as a Sarah T. Hughes Diversity Law Fellow. During her studies, she kept her foot in both the legal and medical world, continuing to work as a registered nurse on the medical/surgical floor at a hospital in Arlington, Texas, while in school. After graduating, she worked with Fulbright and Jaworski (now Norton Rose Fulbright), an international law firm that went global in 2014. While her law firm experience kept her connected to medical issues, Walker preferred to be more directly involved with hospitals and their patients. She went in-house as regulatory counsel and ultimately landed her role at USPI, an ambulatory healthcare provider serving more than 9,000 physicians and partnering with more than fifty nonprofit health systems nationwide. The company currently operates more than 260 ambulatory and short-stay surgical facilities, more than ninety urgent care centers, and more than twenty imaging centers. USPI facilities carry out over 2.5 million patient encounters each year, which includes over 1.5 million surgeries performed. As chief legal officer overseeing USPI’s legal function, Walker covers many areas, the three primary ones being development, facilities management, and litigation. Development prioritizes adding new facilities to the USPI portfolio through acquisitions or syndications, but her day-to-day operations and litigation work relate to the daily business of operating the facilities. Walker spends the majority of her time supporting the senior leadership team and providing general guidance to facilities. Walker and her attorneys work to ensure that USPI team members are aware of important laws and regulations that govern USPI’s businesses. She encourages her legal team to stay closely connected with facility operators so that they can be proactive in assessing and complying with applicable laws. Transition can require a lot of work, but Walker is there to make a difference. Her twenty-four years of combined experience in the legal and medical fields make her a reliable resource for situations that might arise for the company or at a facility. Her colleagues know it too, and she feels the most appreciated when her attorneys and senior management turn to her as a resource.